The JSFM promotes researches on Feline Medicine and build the basis to introduce the latest findings. Holds regular study meetings for clinical veterinarians and veterinary technicians on the diagnoses/treatments of diseases specific to cats. Aims to create cat-friendly clinics and contributes to domestic CFC (Cat Friendly Clinic) promotion activities compliant to the international standard. The International Society of Feline Medicine (isfm) is a veterinary section of the international charity society for cats, the International Cat Care (icatcare.org) , and registered in England and Wales in the United Kingdom (charity number 117342). For more than 50 years, the International Cat Care aims to provide care to pet and stray cats all over the world, and to encourage compassion for/understanding of them. It is supported by donation. These activities are linked with the partnership organizations in the world, and aim to promote development in feline medicine internationally. The JSFM as the official partner in Japan has helped development in feline medicine in other countries, and contributed to CFC promotion activities. The history of feline medicine in Japan goes back a little further than you might think. Veterinarians were treating cats as early as the Meiji era (1868–1912), and university researchers also did considerable work in the postwar period, particularly at the University of Tokyo. 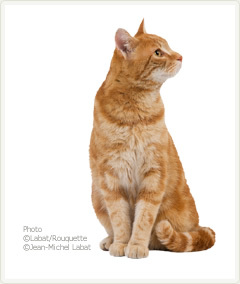 So feline-specific research and clinical practice did exist, driven by a fondness for cats and an appreciation of their unique needs. But even today, feline medicine is rarely taught at universities as a subject in its own right, and veterinary practitioners often do not learn many of the basic things they need to know, such as how to handle an unruly cat or techniques for giving treatment without causing unnecessary stress. Japanese veterinarians have had to make up for these deficiencies by relying on their native wits and skills to be able to treat cats at all. The situation was similar in the United States and Europe, where people only began to focus on feline medicine after considerable progress had already been made in treating large animals and dogs. In that sense, the development of feline medicine lagged behind other disciplines in the United States as well. My mentor Doctor Niels Pedersen was one of the first to study feline diseases seriously and to teach feline internal medicine as a specialist subject. Today the American Association of Feline Practitioners is the best-known of several established societies specializing in feline medicine, and practitioners who specialize in feline medicine can now earn a specialist qualification as Diplomates awarded by the American Board of Veterinary Practitioners. Feline medicine is also well developed in Europe, where the International Society of Feline Medicine (isfm), an international charity organization, has played the leading role. It is fair to say that feline medicine has been much slower to develop in Asia. In many of Japan’s neighbors, including South Korea, Taiwan, and China, living with cats was virtually unheard of until relatively recently. As people in these countries start to take on board the lessons of American- and European-led veterinarians, those of us in the field in Japan are keenly aware of the need for us to show leadership as we work together to improve the level of treatment in Asia. In addition to lifting the general standard of feline medicine in Japan and other countries, establishing animal hospitals and clinics that provide a welcoming environment for cats and their owners is vitally important. We believe that Cat Friendly Clinics (CFC) that meet the international standards recommended by the ISFM for this purpose can serve as a signpost guiding cat-owning families in the future to clinics that provide first-rate specialist feline care. 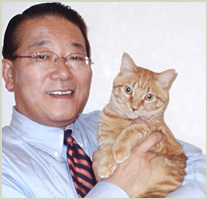 The Japanese Society of Feline Medicine (JSFM) was founded as the National Partner of the isfm by cat-lovers and others with cats’ interests at heart under the shared ambition of contributing to the development of feline medicine and increasing the number of Cat Friendly Clinics that provide a comfortable environment for cats and their owners. It is my sincere hope that our activities will contribute to the development of feline medicine in Japan, helping it grow to a level where it can take on a leadership role in Asia and internationally. More than anything, we want to do whatever we can to increase the number of Cat Friendly Clinics that provide a safe and comfortable environment for cats and their owners. This is the ambition of all of us at JSFM and the inspiration behind everything we do.